PL/SQL tutorial provides complete knowledge from basic and advanced level concepts of PL/SQL. 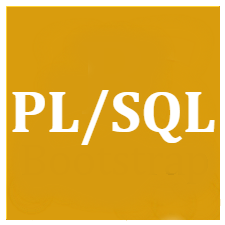 Our PL/SQL tutorial is designed for beginners and professionals. SQL stands for Structured Query Language i.e. used to perform operations on the records stored in database such as inserting, updating, deleting and create tables, modifying and dropping tables, create views etc. This PL/SQL tutorials gives you complete knowledge from basic to advanced level which includes all topics of PL/SQL such as conditional statements, loops, arrays, string, exceptions, collections, records, triggers, functions, procedures, cursors etc. These tutorial are broken down into sections where each section contains a number of related topics that are packed with easy to understand explanations, real-world examples, tips, notes and useful references. If you are beginner to the PL/SQL, it is recomand that read tutorial from start that covers PL/SQL basics and gradually move forward, by learning a little bit every day. These tutorial are designed for beginners and professionals who want to learn PL/SQL step-by-step and to become an expert. The PL/SQL reference section will give you detailed information about PL/SQL query technique, database access,CRUD, database management etc.